Orlando, Florida – JVC Media has entered into a definitive agreement with TTB Media Corp. to purchase Bilingual Spanish CHR radio station WHKQ/FM Orlando. 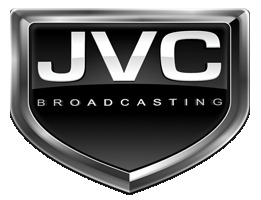 JVC Media is an independently owned company headed by partners John Caracciolo and Victor J Canales. The company operates four FM stations in the 20th ranked Nassau-Suffolk NY radio market- which includes Spanish-formatted WBON “La Fiesta”. They also own and operate four radio stations serving the Gainesville-Ocala Florida market and have entered into agreements to acquire three radio stations and two translators serving the West Palm Beach Florida market. JVC Media has been on a rapid growth mode, recently expanding in Long Island and Florida with its entertainment and broadcast divisions, adding jobs and staff and working hard to make radio local and community friendly once again. JVC Media CEO, John Caracciolo said, “We are honored and privileged to welcome WHKQ/FM and its staff to the JVC family. The prior owner was committed to community service, high quality broadcasting and creating an excellent work environment for its staff, and we will be continuing their work. We are tremendously impressed with the Orlando market and the remarkable growth that WHKQ/FM has shown in three short years. As owner & Operator of successful Spanish-language station on Long Island, we understand the Hispanic growth of Orlando and Central Florida and are fully committed to the Spanish format in Orlando”. Northwood Ventures, JVC Media’s majority equity investor has been a leading investor in venture capital and buyout opportunities. Northwood prides itself on being a fundamental investor seeking to maximize long-term cash on cash returns and partners with experienced, successful management teams to generate superior returns. Northwood structures its investments uniquely to meet the individual requirements of each portfolio company. Northwood has participated in the creation and growth of many leading companies in the communications, retail/consumer, financial services and manufacturing sectors. Northwood invests at all stages of company growth, and have a long history of successful investing with independent sponsors. Northwood’s long-term investment horizon and entrepreneurial orientation, coupled with our experienced and collaboratively-minded professionals have made us an attractive partner for leading management teams for decades.